Disney movies have played a huge part in our childhood - whether it's Snow White and her Seven Dwarves or Elsa and the friendliest snowman you will ever meet, Olaf. But what is it about them that makes them so memorable? It's their incredibly infectious and catchy lyrics right? Right! Disney songs have, hands down, some of the most brilliant and meaningful lyrics that you can't help but sing along to. How many of you have been guilty of belting out "Let It Go" at least once or twice (but definitely more than once or twice)? Well if that's you, then this quiz will be a walk in the park. We have taken a selection of some of the best Disney movies of all time and created the ULTIMATE Disney song quiz. Can you match the song to the movie? 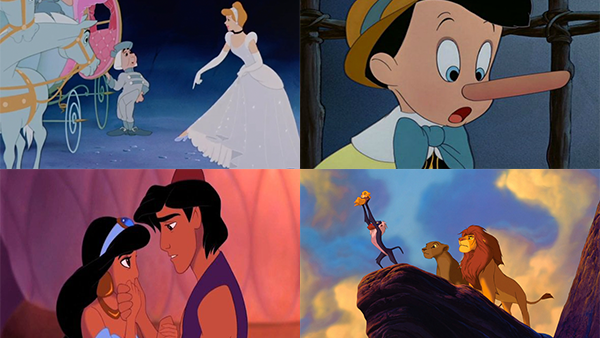 Do you know Disney movies as well as you think you do? Let's find out. When you've aced it and shown you are a true Disney fan, why not check out 15 Disney Songs Sure To Trigger Nostalgia and take a trip down memory lane.